Following on from my last post about volunteering, this post will focus on one of the organisations I volunteer with. I have chosen to write about this particular organisation as I am very passionate about what they do and think they deserve recognition for their hard work. At first glance Butterfly may look like a normal craft shop, selling handmade items and craft supplies, but it is much more than that. It is a not for profit organisation supporting local good causes and groups of people through a retail business. It is run as a C.I.C, which is a Community Interest Company. A C.I.C is designed for companies run as a social enterprise, with the primary focus of benefiting the local community. Meaning that it is not run by shareholders or owners out to make personal profit, but instead uses any money it makes to help others. The idea of Butterfly is that it is run by Dawlish, for Dawlish. With volunteers and crafters helping to run things. • Sewing supplies such as needles, thread, zips, buttons, etc. • Art supplies such as paint, brushes, art pencils, etc. 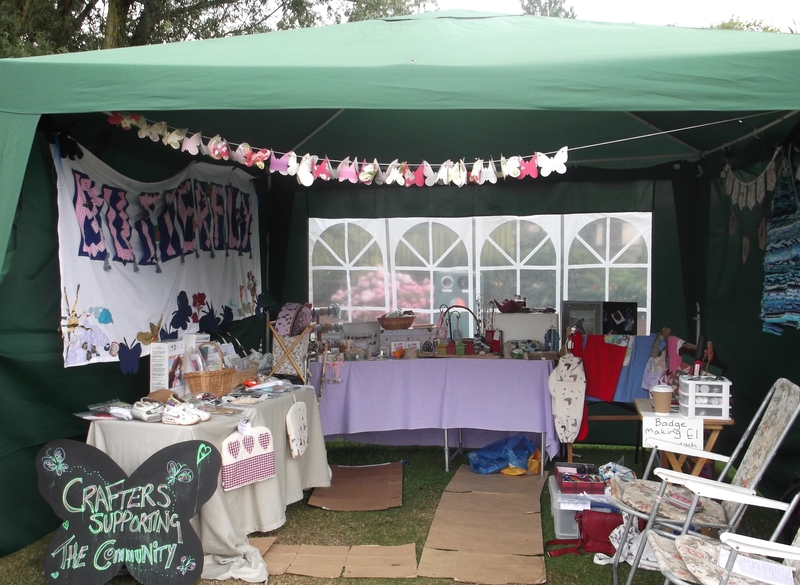 Butterfly run regular one off workshops to teach crafts such as jewellery making, mosaicking, dress making and much more. They also have weekly groups such as In Stitches where anyone making something including a needle and thread or wool can join in, to help each other and socialise as they create. They also help more specific groups of people using art and craft as therapy and as a way to bring people together, like Craft for Carers. They also plan to start a regular home educated children’s group and other classes. Butterfly was set up just over a year ago in July 2014. In that time they have already achieved things for the local community. They have helped three local residents set up a sewing business. They raised £100 for the Royal British Legion by selling poppy items made by the crafters. They have organised craft therapy for local care homes thanks to a grant of £500. I have only been volunteering at Butterfly since June, but I have already grown to love the place and its people. I help with various things in the shop such as operating the till and serving customers, tidying and sorting stock, making cups of tea and coffee and anything else that they need me to do. I also attend the recent AGM and wrote a short press release about it for the local newspaper. I also am starting to get more involved online with the Facebook page and Website. The other thing I love about the shop is that I am a crafter myself. I find working in the shop very inspirational and get lots of ideas of things to make. At the moment I do not sell my crafts, but make them for friends and family for special occasions. I do however hope that one day I can make enough of my crafts to have my own shelf space at Butterfly and to start selling my work. I joined Butterfly about a month after I moved to Dawlish and everyone there has made me feel very welcome. It has helped me to make friends in the town and feel like part of a community right on my doorstep. I would like to thank everyone at Butterfly for being so supportive and kind. If you would like to find out more about Butterfly Dawlish Community Art and Craft Centre C.I.C then check out the link to their website or Facebook page. 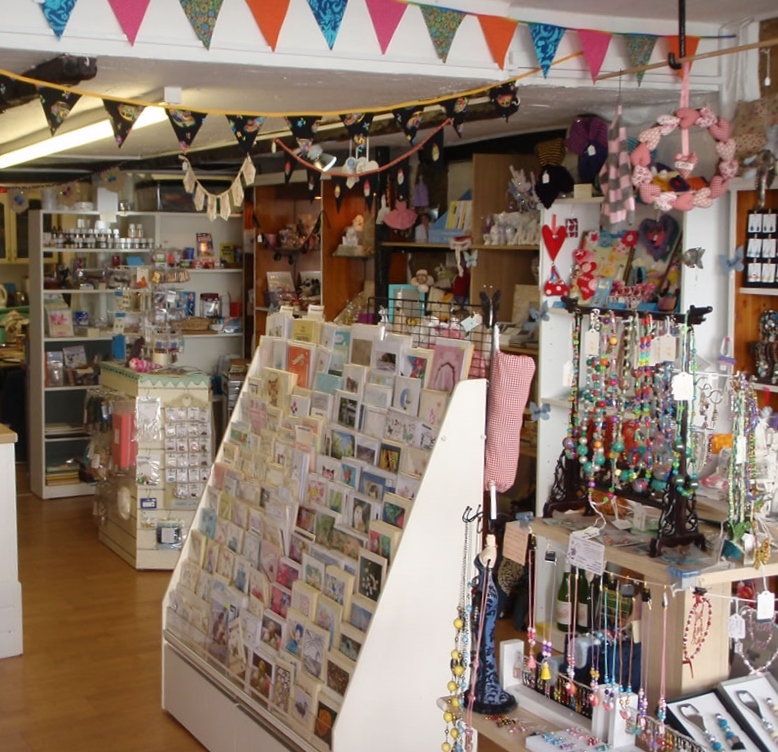 The shop itself is located at 17 Queen Street, Dawlish, Devon. They always welcome donations of unwanted craft supplies to sell or use in store. Try finding a C.I.C or social enterprise in your area to join and start benefiting local people, who in turn may just benefit you. 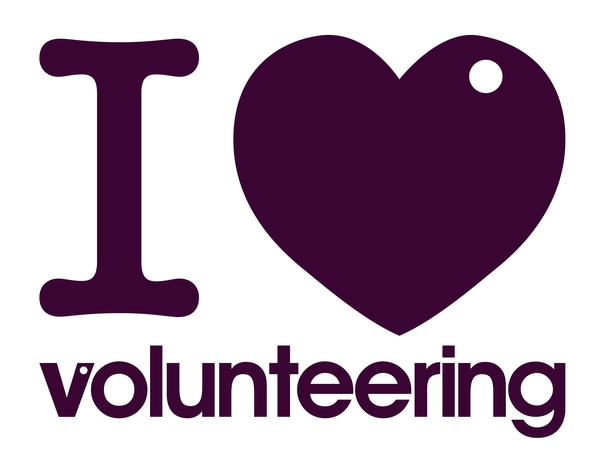 I have been a volunteer on and off for various causes since I was about sixteen. I love the good feeling volunteering gives me and knowing that I managed to do my part in some small way for society. I have spent time helping my local youth club, fund-raising for my local hospital, working in charity shops both serving customers and sorting stock in the back room, as a steward for a regional theatre, helping with administration for my local children’s centre and taking part in one off fund-raising events. • Enhance my CV: One of the reasons I first started volunteering as a teenager was to have something to put on my CV as work experience. Even now when I have paid work experience, volunteer work means my CV stays up to date, with current experience in the work place. It shows how keen I am to work right now. It also makes me look like a nice person that people would want to work with. • Get a Job Reference: A lot of job applications ask for a work place reference, which is hard to give when you have never worked before. However after volunteering I was able to use my manager as a reference. • Gain Confidence: Volunteering has given me the confidence to apply for more kinds of jobs. It has helped me feel more confident in interviews and comfortable in a work environment. It has also given me self confidence in my abilities proving to myself and others that I can work and actually do a good job despite having various disability issues. • Skills: I have learnt a lot of new skills thanks to volunteering. Also it helps me keep skills I have developed in the work place up-to-date. • Help with Job Interviews: Volunteer work helps give me real work place experiences to talk about in job interviews. • Gets Me Out/ Pass the Time: Unemployment can be very boring and tedious at times. Volunteering gives me a reason to get out of bed and leave the house some days. It also helps fill the time in a more interesting way than sitting around at home often does. • Be Part of my Local Community: Volunteering makes me feel a part of something, like I am joining in with society and being of use to my local community. It helps make me feel less isolated. • Make Friends: I get to meet new people and make friends who live locally. • Pride in Myself: As someone on benefits without paying work, I have been accused of sponging off society and being lazy. At least with volunteer work I can say I do something with my life and can prove I am not just being lazy. Also it helps me feel like I sort of ‘earn’ my benefits in some small way and that I have dignity. • Helping Others: Most importantly when I volunteer I like to be helping a charity or cause that I truly believe in. It is no good volunteering my time for a cause I do not care about as I will do the work less well and not enjoy myself so much. I often like to help with smaller local causes as I can see the effect my work has directly on my local community. • Fund-raising: Either as a one off event such as being sponsored to do something, or in a charity shop. • Supporting People/ Befriending: One on one support for vulnerable people such as the elderly or special needs. Sometimes this can include helping people to eat meals when in hospital or to have someone to go out to places with. It can be as simple as just checking up on someone and being there so they are less lonely. • Administration Support: Helping a charity with office based jobs. • Teaching: Sharing your skills with others either one on one or a group. • Supporting Events: Helping at community events or fund-raising events with things like first aid, car park attendance, serving drinks, or setting up stalls. • Driving: Helping people to go places such as hospital transport and community transport. Collecting and delivering furniture for charity shops. • Handy Person/ Gardening: Helping elderly or disabled people with basic DIY tasks such as small repairs, safety measures like fitting rails and smoke alarms and security measures. Sometimes help with gardening maybe required such as mowing the lawn or cutting back hedges. • Giving Advice: Either face to face or by telephone for charities such as Citizens Advice Bureau, Age UK or Sure Start Children’s Centres. I would highly recommend volunteering to anyone. You can take it up as a regular thing like I do helping two charities one afternoon a week each or if you do andot have as much time to spare you could take part in a one off event. I guarantee that you will gain from doing it in some way. Community and Voluntary Services Can offer you advice on volunteering and link you to local places looking for people to help. They can do this on the phone or face to face in a volunteer centre and some Volunteer Centres also have online links.